Chancellor Carmen Farina discusses WHSAD’s Y-Plan project with students Xavier Flowers and David Lozado. On Wednesday, March 2nd Xavier Flowers, Anah Lewi, Luis Barrera, David Lozado, and Ronny Tineo attended and presented at Brooklyn Borough Hall for the Y-PLAN conference. 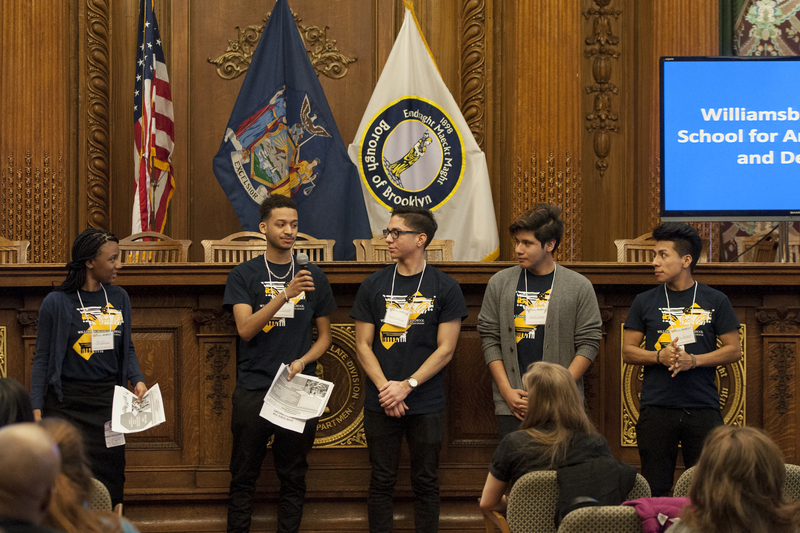 These students, along with their 7th period economics class, have been working with Councilman Levin’s office and the Participatory Budget Committee on five different projects that will benefit the community. They are creating renderings of the proposed changes to each area. 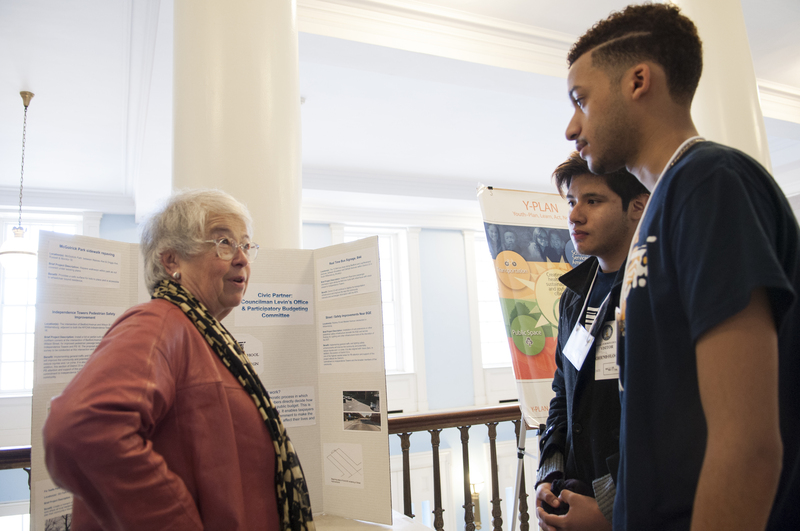 The students had opportunity to discuss their project plans with Chancellor Carmen Farina. The goal of Participatory Budget is to give members of the community a say in how and what money is spent on in their neighborhoods. By working with the PB committee and the y-plan project, our students have been able to take an active part of making a change in the communities surrounding our school. For more information please see the attached document.